When was the last time you made a search to find an answer to an inquiry you had and were offered both text link results, as well as relevant videos? Did you click the video over the text links provided? Chances are, you did— as video has an astronomically higher click through rate than any other content format. In a single email alone, adding a video can increase your chance of earning a click by 96%. What does this have to do with earning more clients and generating more income? By utilizing the right format (video), and highlighting the right content (questions of your potential shoppers), you can earn exponentially more traffic, engagement and leads— as well as more money saved and earned. Now let’s get personal— despite the opportunities available with video, you’re more than likely throwing more money at your standard advertising in the hopes that it’ll make your problems go away. In doing so, you’re wasting your money, time and effort on a game that’s stacked against you— competition on Google and Facebook has never been steeper; consider the fact that the first link alone on a Google search results page gets 33% of total clicks, and over 70% of searchers never look beyond the first page. How long are you willing, and can you afford, to pay to play? Our culture has affected our psychology in that Hollywood has taught us that when someone is on screen, they matter! Consumers connect easier when we put a face to our brand, and it affords an opportunity to gain name recognition. While video intimidates many, don’t sell yourself short— you know your stuff. Utilizing the knowledge you already have on leading questions in your industry is like having a free, renewable resource for your campaigns instead of spending more and more money to fuel them. Providing helpful answers to the questions your potential customers have positions you as a resource. What better way to differentiate yourself from your competition in the minds of shoppers is there? Engage your audience back after they interact with your video content and you’ll be taking that connection a step further. By demonstrating your value in the form of answers to their questions, you increase your authority; you become the go-to for information on your industry. By recreating a student-teacher scenario digitally, you cast a wide net and generate a larger, more engaged brand audience. People connect with people, not companies. I’ve said that many times before and I’m sure there are more times to come. In a previous article, I touched on how this practice has been utilized by some of the world’s most successful and recognizable CEOs. Consumers have always wanted more transparency when it comes to the corporations they buy from, and they want that transparency now more than ever. By opening up and putting a face and some human touch behind your brand, you’ll be met with a larger and more trusting audience— ready to work with you; 25% larger to be exact. Possibly one of the most important reasons FAQ videos are such a viable and price effective strategy are their potential SEO value. Everyday there are hundreds of thousands of questions asked on Google that YOU have the answers to. By focusing on the most frequently asked questions and titling your videos effectively, as well as adorning them with all the appropriate keywords when posting, you generate organic, UNPAID opportunities for your business to earn qualified search traffic. Cumulatively, the effects your FAQ videos can have increase the overall value of your brand— and not just with your audience, but with your peers and even agencies that oversee your industry. For example, the FAQ videos my team produced for a client of mine who was looking for a modern strategy to replace his traditional media advertising not only caught the eye of his audience, potential car shoppers, but by the likes of the foremost news outlet in his industry, as well as Toyota USA. As long as it needs to be to answer the question at hand. This isn’t pre-roll and you have more than two seconds to the attention of your audience. Remember, they’re actually looking for the content you’re providing, versus a general ad they were target with but never asked for. Should I still include a sales pitch? That’s one of the biggest mistakes you can make in an FAQ video; it can often discredit the legitimate information you’ve provided in the eyes of your consumers. Your FAQ video is a non-aggressive pitch in of itself because it demonstrates your value to potential customers. How much free information is too much? Giving away your knowledge for free might seem counterintuitive to the way you’ve always done business. But, there’s an appropriate balance that can be maintained; provide enough to be helpful but don’t hand them the recipe. Where do you get FAQs to create videos about? Thing about all the questions you get asked on a daily basis— that’s endless content! Create a swipe file to jot down questions you get asked and do videos for the inquiries you receive most often or more than once. Have employees add to this file too. 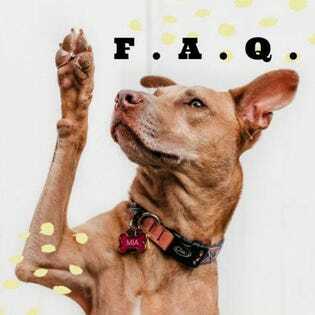 Once your FAQ videos are up and running, you’ll find that you receive even more questions in the comments of your videos that can be used to create videos. When generating your video title, consider how a potential viewer might search when looking to find your content. Consider posing your title as a question like a potential shopper might, or include an interrogative work (who, what, where, when, why and how) as these are often utilized in search. Get your videos captioned as up to 85% of videos online are watched without sound. Share your FAQ videos across all your social channels, emails and marketing materials for the best result.